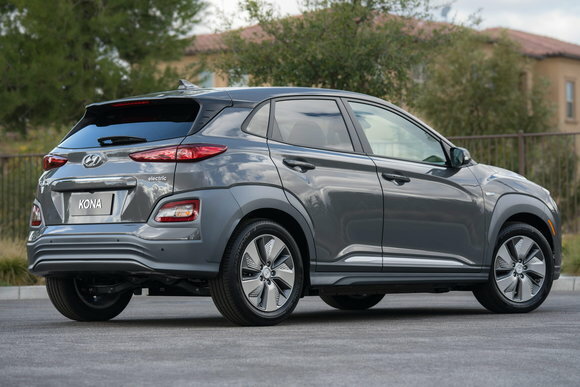 Hyundai just made it a little more expensive to bring home a Kona EV. Manufacturer pricing documents reveal MSRPs for the 258-mile all-electric SUV have gone up mid-year as much as $500, with lease prices increasing as well. The changes come as reduced tax incentives take effect on the vehicle's chief competitor, the Chevy Bolt. As of March 27, the 2019 Kona SEL starts at $37,995 including destination. Previously, the vehicle had a starting MSRP of $37,495, the exact same price as the Bolt. Now, the Kona is $500 more expensive on paper before considering state and local incentives. While price increases aren't all that unusual for cars in general, the timing certainly invites speculation. As of April 1, the federal tax credit on the Chevy Bolt is worth just $3,750, half the previous amount of $7,500. In some areas, we've seen evidence that Chevy is compensating for a subsequent drop in residual values with larger incentives. Dealer leasing bulletins show the all-electric Kona has become more expensive to lease. 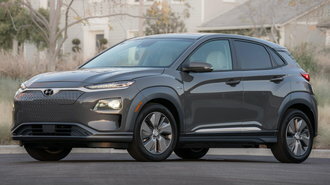 In terms of MSRP, the Kona EV is now $500 more expensive than the Bolt ($37,495), $550 pricier than the new LEAF S Plus ($37,445) and $1,795 more than the Model 3 ($36,200). Of these vehicles, the Kona and LEAF are the only ones still eligible for the full $7,500 tax credit. If what we've seen thus far with price changes, tax credit adjustments, and incentive tweaks is of any indication of how volatile prices have been for EVs, shoppers will want to ensure they have the latest information before choosing one model over another. Did The Chevy Bolt EV Just Become A Bad Deal?